Everything that a child encounters in his/her school day from the minute the student enters the school building until he/she leaves to go home is considered the curriculum. This includes classroom experiences, lunchroom, physical education, recess, prayer, as well as any other activity that occurs during the school day. Whatever a child encounters in school is part of the curriculum. Religion: St. Mary’s utilizes the Call to Faith religion series as part of their program. We incorporate religion throughout our school day but also have a block of time specifically set aside for instruction. We also attend and minster at a weekly Children’s Liturgy. For our students of a different faith they have the option to be included in the Catholic instruction or take part in an alternative religion class and chapel. Math: SMS uses Houghton Mifflin Expressions for grades K-5 and Holt McDougal Mathematics Course 1 for our 6th grade. We enjoy how this program assists us in meeting our outcomes through the use of hands on activities and through interactive lessons for our SMART Boards. Language Arts: Our Language Arts block includes reading fluency and comprehension, English, phonics, spelling, and handwriting. To aid in our reading comprehension we also have the students taking part in the Accelerated Reading program. This allows students to read at their own level and to where they can be successful. As their reading improves their reading level increases. Click here to learn more about our Accelerated Reading program. Social Studies: St. Mary’s now uses Networks Social Studies. 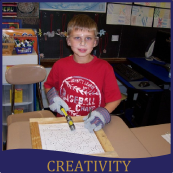 Networks is a yearly updated curriculum for our K-5 students that is completely interactive. Teachers have the ability to provide first-hand digital resources to our students. Our 4th & 5th grade students each have a Networks account which allows them to complete assignments, study, see primary resources and interact with social studies experts. For a presentation on how this program works, click here. Our 6th graders study Minnesota History with Northern Lights. This brand-new updated curriculum features an online component that allows students to interact with their textbook and the material covered throughout the year. For more information, click here. 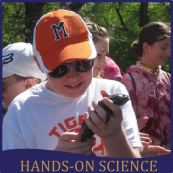 Science: Our program for Sciences involves a mixture of textbook instruction with a large amount of hands on activities. Our 6th grade class also, takes part in an annual science fair and presentations are given to the whole school population. 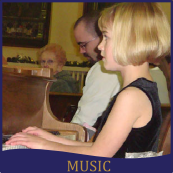 Music: Our students take part in music classes two times per week. Themes are incorporated into the three performances that they perform each year. Grades 2-6 also take turns singing during our weekly Children’s Mass. Spanish: The K-6 grade students at St. Mary’s receive Spanish instruction once a week. They learn how to speak the language and learn about a different culture. Physical Education: We are fortunate to be able to work with the local public school in providing our students with 25 minute physical education classes five days a week. Swimming Lessons: As a part of our program, St. Mary’s School includes swimming lessons into its instruction. Students in K-6th grade take part in two weeks of Red Cross Swimming Lessons. Kindergarten: Please download our Kindergarten Handbook with tons of great information about our program. Become a part of this amazing community. Contact us today!